First-year students in an Irish university are putting paid to the notion that they emerge from school expecting to be "spoon-fed" in college. They are lapping up an opportunity to hone their thinking skills from the day they start in third-level. Some 800 of this year's 3,000 'freshers' in Maynooth University have enrolled in a new critical thinking skills module, which was introduced in September as an optional, but full subject for first years in all disciplines. Results from a pilot programme last year showed students who took the module reported significant improvement in their learning in other subjects. The module accounts for 25pc of tuition time in the first year with a limit of 25 in each class, compared with lecture halls filled with up to 500 students for other popular subjects. Students taking this option work with their peers from different disciplines to address complex problems from a number of distinct perspectives. 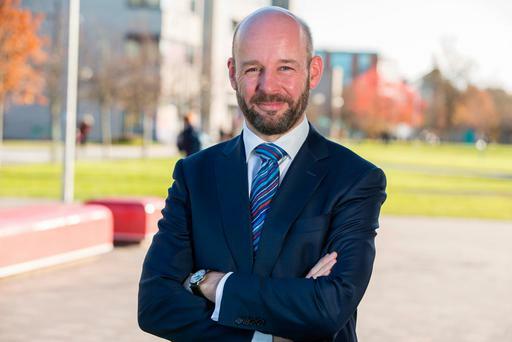 Maynooth University president Professor Philip Nolan said it gave students the opportunity to develop the analytical and communication skills that were central to success in university and in their working lives, as they become independent thinkers and problem solvers. The module is part of a wider revamp of the undergraduate curriculum at the Co Kildare university, focusing on broader entry routes and greater flexibility for new entrants in relation to subject choice.